Amazon kills businesses. Time to join Citify Marketplace. Ain’t it time that we gave BIG online marketplaces a run for their money, a challenge, and customers a variety of sites to go to for products? Anyway, Let’s be blunt, it is no secret that Amazon and its near competitor Walmart kill businesses, and all kinds and types of businesses. Citify’s model seeks to aid and help small mom and pops, medium, and large businesses to increase their profit and more of it. No matter what they say and what they do they are never really for you. 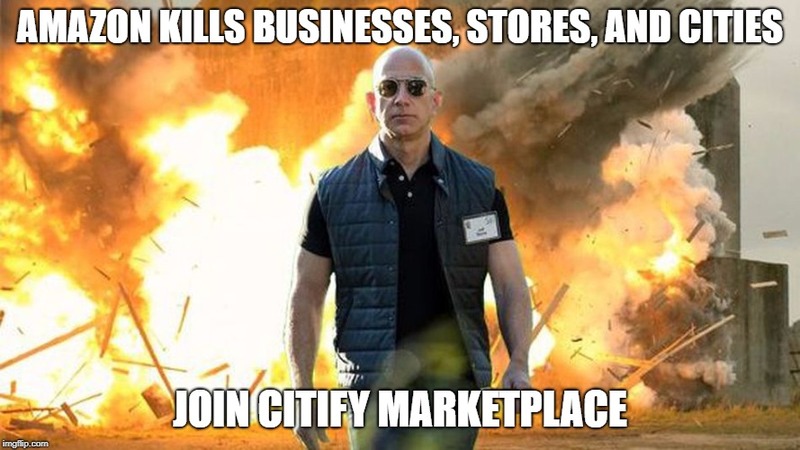 It is time to join and support a marketplace that has businesses and cutomers interests at heart, It is time to join Citify Marketplace and resist Amazon’s monopoly.